Our Never Trust A Skinny Cook Shirts come in large sizes too! If you don't taste your own cooking - what kind of cook can you really be? 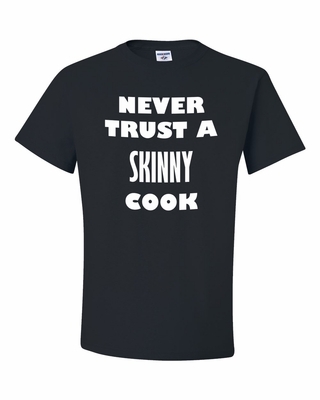 Remember� you found the Never Trust A Skinny Cook Shirts at TShirtHub.com, where high quality came at a low price.